I’ve never taught any class exactly the same way. So it’s no surprise that I have changed the syllabus for my sports writing class in order to reflect changes in the industry during the past few years, which are resonated in the second edition of the Field Guide To Covering Sports, released in August. This new edition, which has been heavily revised, includes several new chapters and advice from more than 130 sports professionals. Like in past years, I continue to invite coaches to speak candidly about game strategy, recruiting, NCAA requirements, and personal experiences with media coverage. Students must write a story on this for class, but they are forbidden from sharing this conversation elsewhere as these are off-the-record conversations. We are fortunate at EIU to have a wonderful relationship with a friendly, sharp athletic department. This class is no longer print-centric. Students now write game stories for digital consumption, which means they will take notes, interview sources afterward and then post a gamer on a class WordPress website that includes at least several links, a photo, perhaps some embedded tweets or video/audio and the requisite headline, tags and category section. 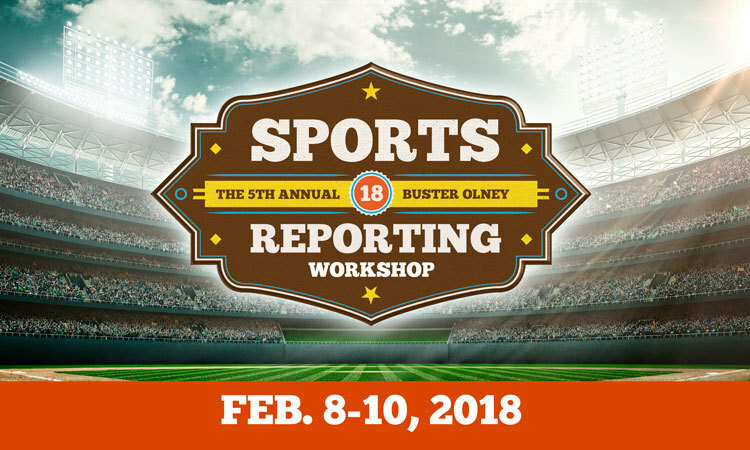 In addition, students will get a chance to create a podcast, to do video post-game analysis, and to report deeply into a sports story via a 1,000-plus word multimedia enterprise story. Feel free to download, use, borrow, steal anything on this syllabus for Sportswriting Sp18. If you want to chat about teaching sports journalism, drop a note below in comments or email me at jgisondi@gmail.com. Happy holidays. This entry was posted in Teaching sports journalism and tagged Field Guide To Covering Sports, sports journalism, sports journalism syllabus, sports media, sports media syllabus, Teaching Journalism and Mass Communication. Bookmark the permalink.